Springtime in New York is beautified with cherry blossoms, which flower every April and May. The blooms mark the change of season, usually lasting about two weeks. 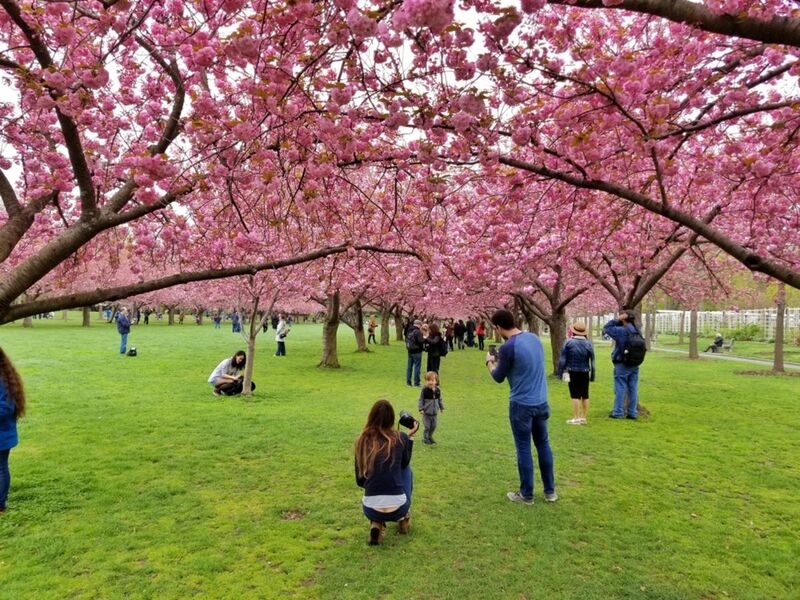 The most famous and impressive place in the city to see cherry trees turn bright hues of pink is at the Brooklyn Botanic Garden. Every April, the garden hosts the Sakura Matsuri Cherry Blossom Festival, which celebrates Japanese culture with rich programming. Taiko drumming, dance performances and tea rooms only enhance this bright pink weekend. Buy tickets in advance for the popular event directly with the Brooklyn Botanic Garden website. This year’s festival is set for the weekend of April 27-28. 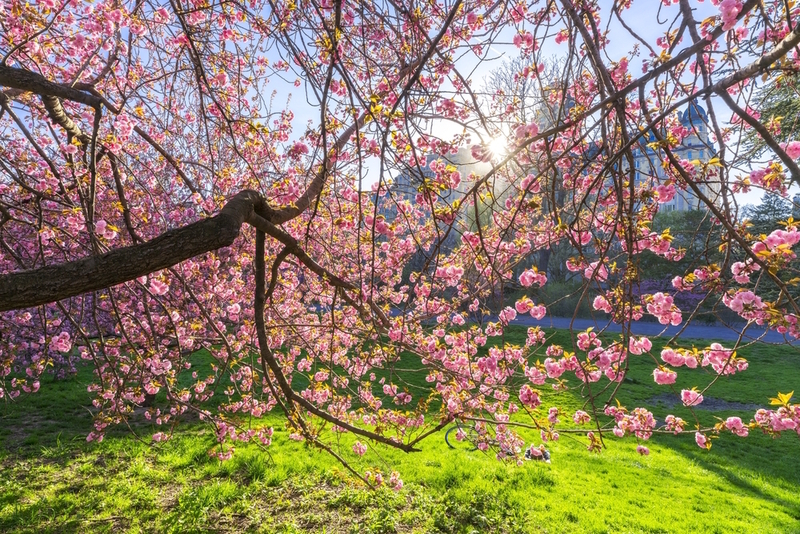 If you can’t make it down to Brooklyn, the months of April and May also bring blooms to the cherry trees in Central Park. The Japanese Cherry and Yoshino Cherry trees are abundant in several areas around the park. Look for pink petals at the west side of the Reservoir, Bethesda Terrace, or east of the Loeb Boathouse, located on The Lake. Make sure to read our Central Park walking guides before you set out to make the most of your excursion. Want to make a day of it? 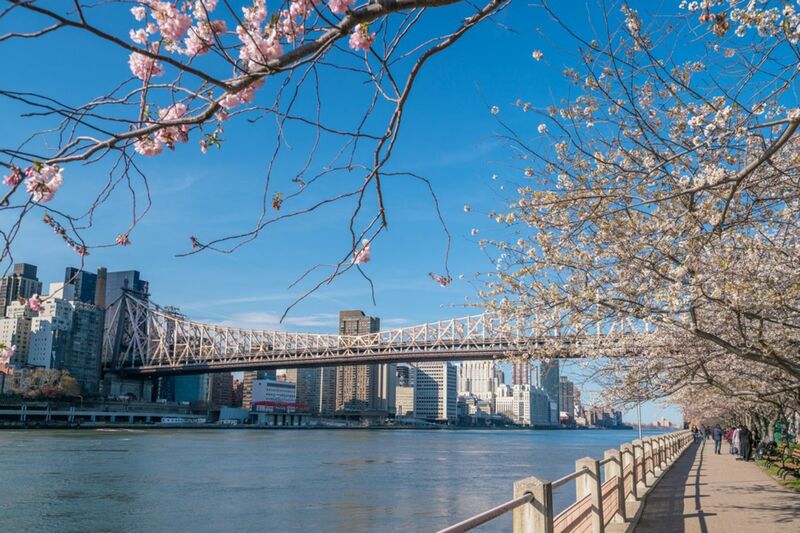 Take a memorable trip to Roosevelt Island which is accessible via air tram. Kids especially love the ride, which departs from the tramway at E. 59th St, and 2nd Avenue on the Upper East Side. Once you get off, head for the cherry trees that line the Eastern River. Walk along the promenade toward the Lighthouse Park for sunset – if the weather’s clear, it will be one to remember. If you’re traveling with kids in New York City, consider staying with us at Hotel Beacon. Located on the quiet Upper West Side, the neighborhood is laid-back and located near Central Park and excellent kid-friendly museums. Our apartment-style rooms are complete with kitchenettes, providing our guests ample space – a necessity when traveling away from home. Onsite laundry services and other amenities makes Hotel Beacon ideal for families. Read up on our special offers.